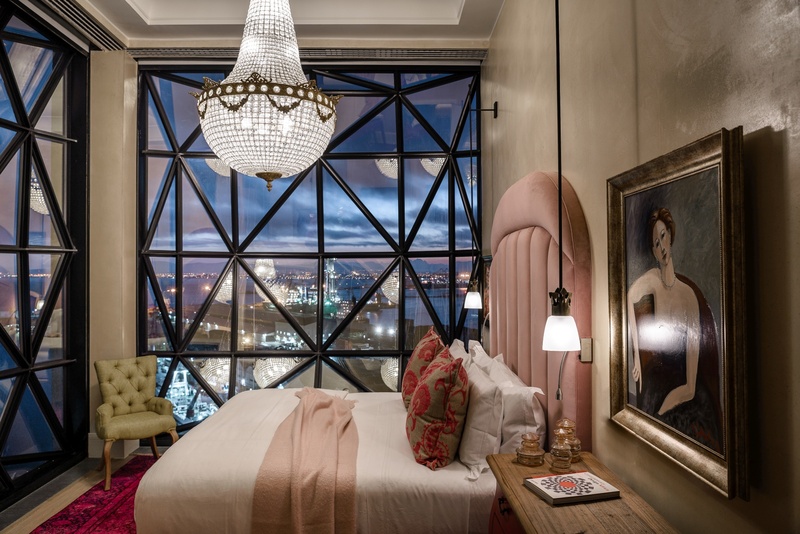 Great location, gorgeous views, spacious rooms... sounds pretty good already? Well, that’s just the beginning, because the Silo went above and beyond in making every inch of their hotel as delightful as possible. 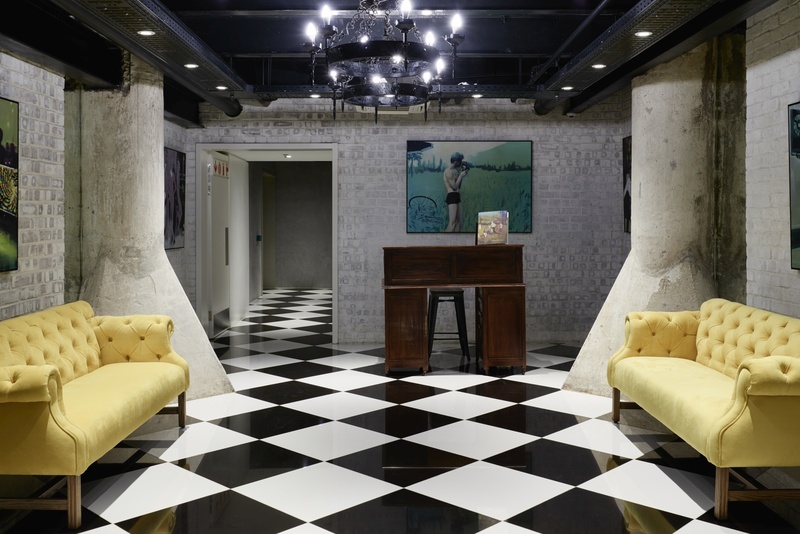 This is a hotel that once you enter, you will not want to leave again. 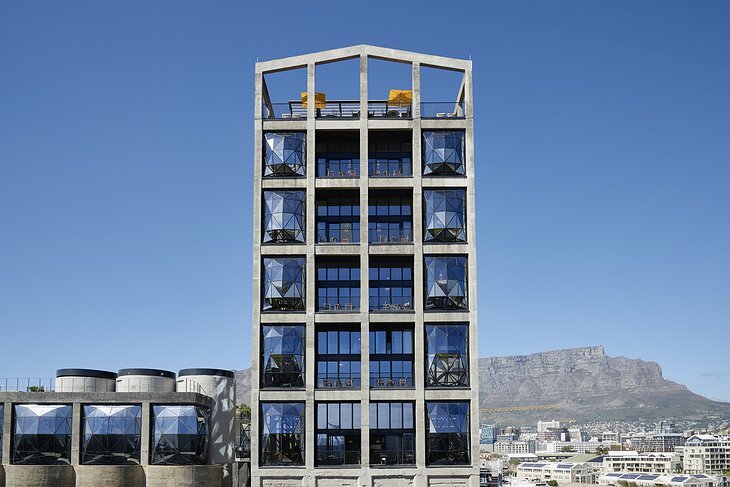 Housed in an impressive structure with bulging glass windows, the Silo is a place that’s dedicated to art and design through and through. Each of the 28 rooms has been individually designed and decorated. 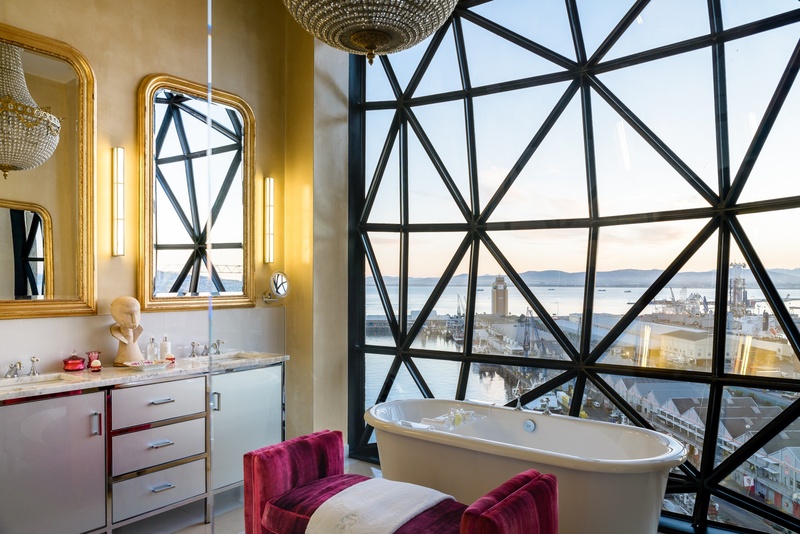 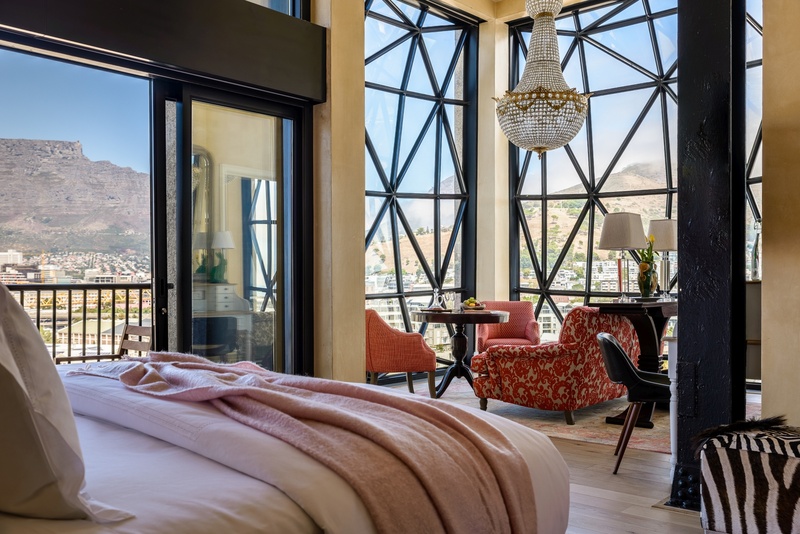 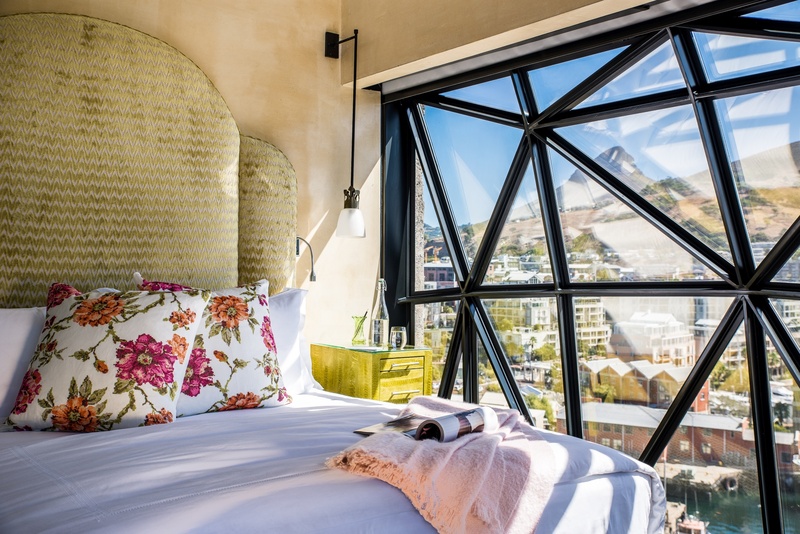 What they all have in common is the colourful eclectic style and absolutely breath-taking views over Cape Town. 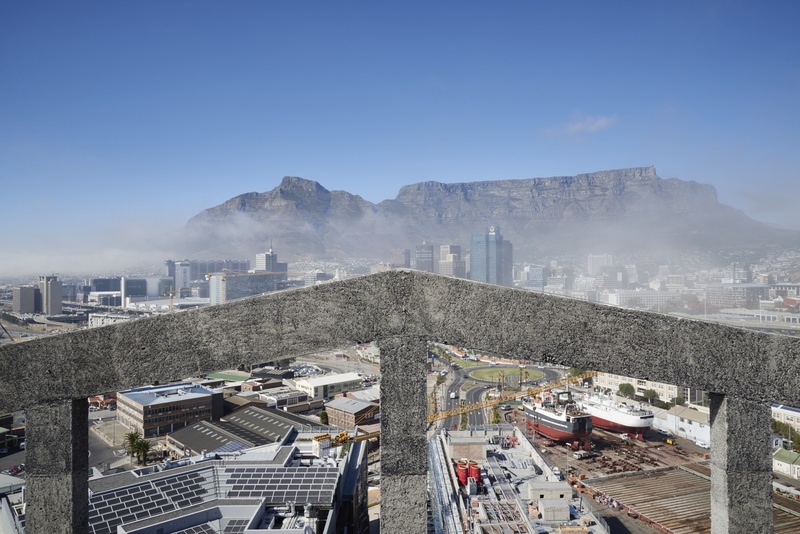 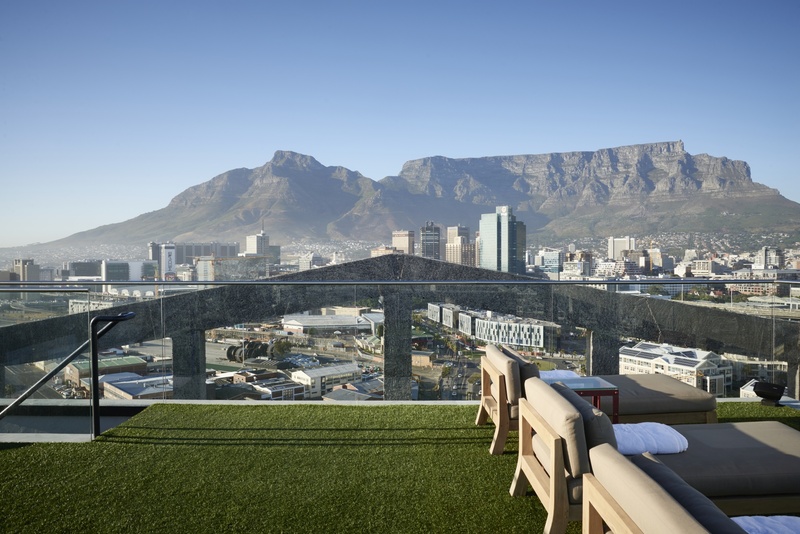 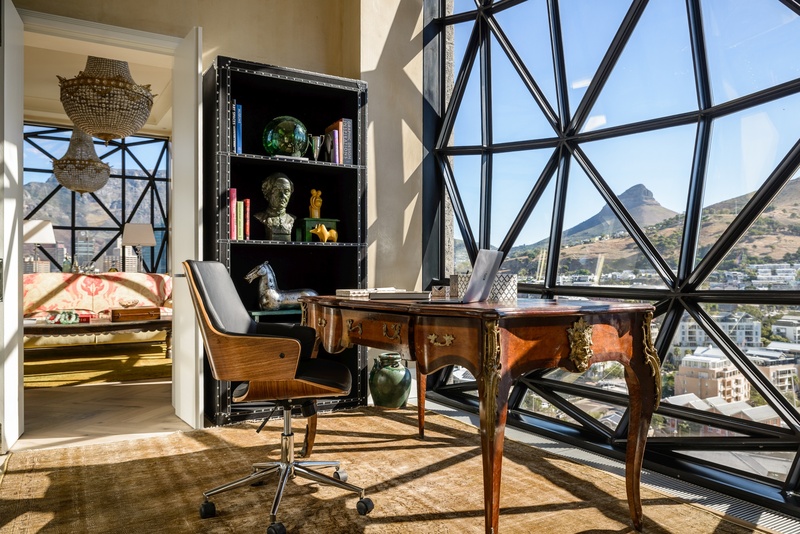 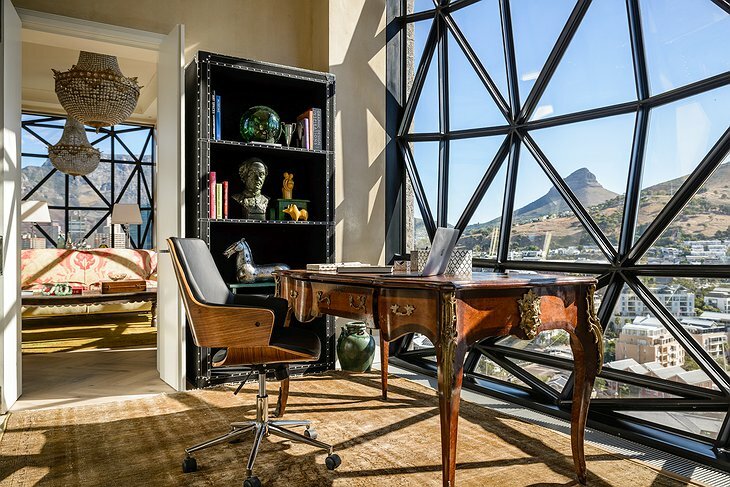 Crème de la crème of the establishment is the one-bedroom Penthouse facing Table Mountain. 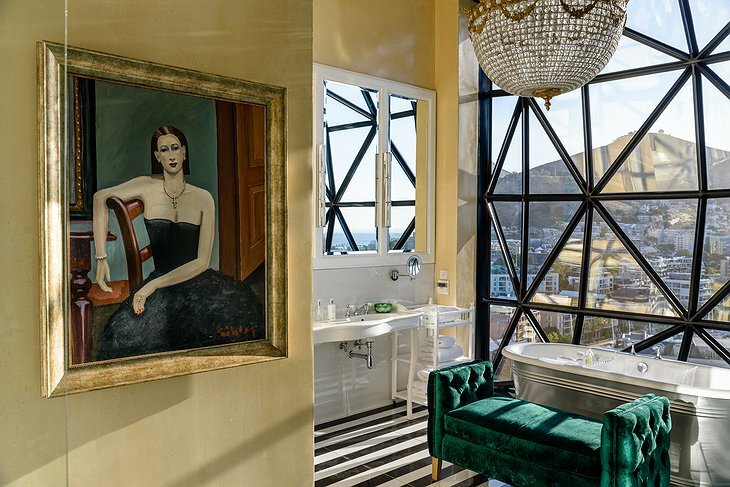 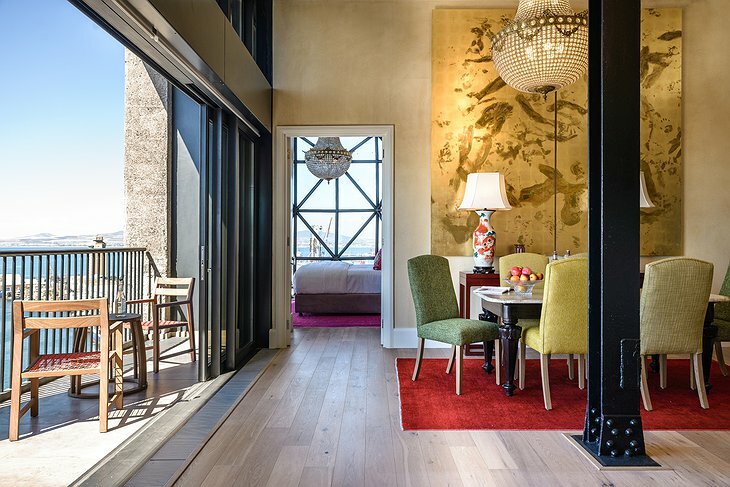 It features an old-timey study, a piano, an outrageous amount of chandeliers and views of the city from every room. 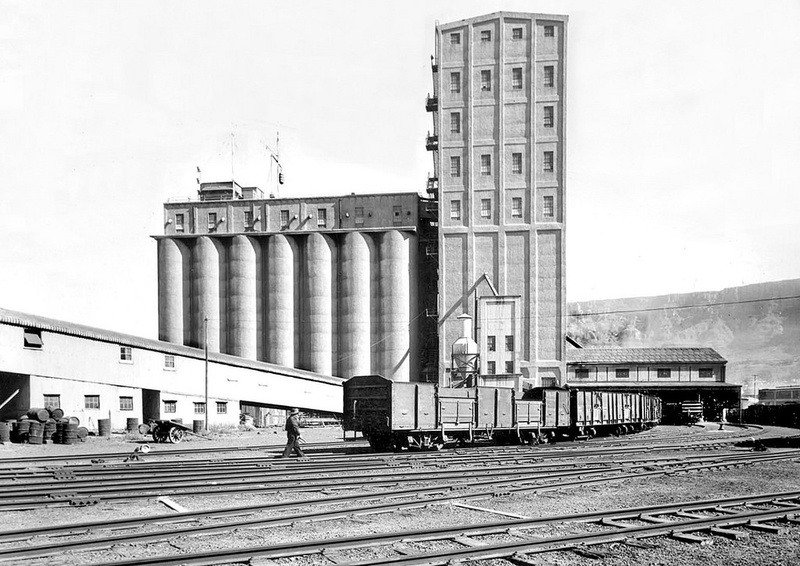 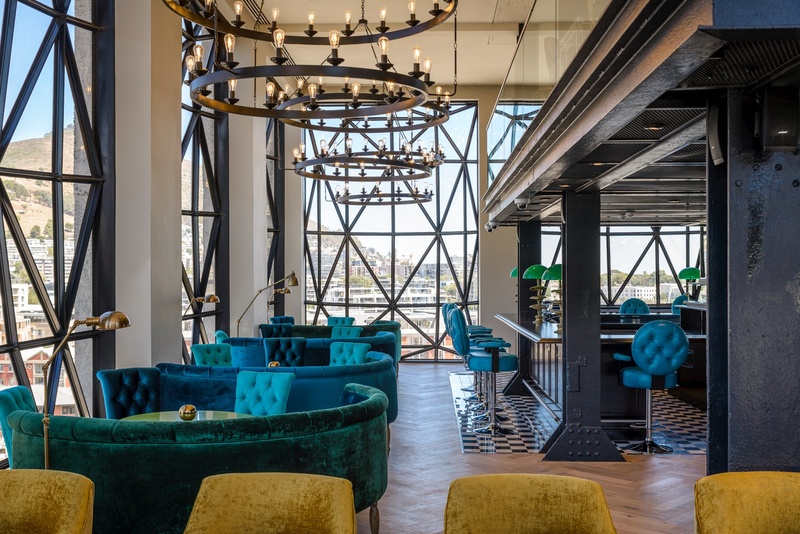 Dining at the Silo perfectly reflects the chic, contemporary vibe of the hotel. The Granary Café serves glammed up versions of classic comfort foods that are both elegant and delicious. 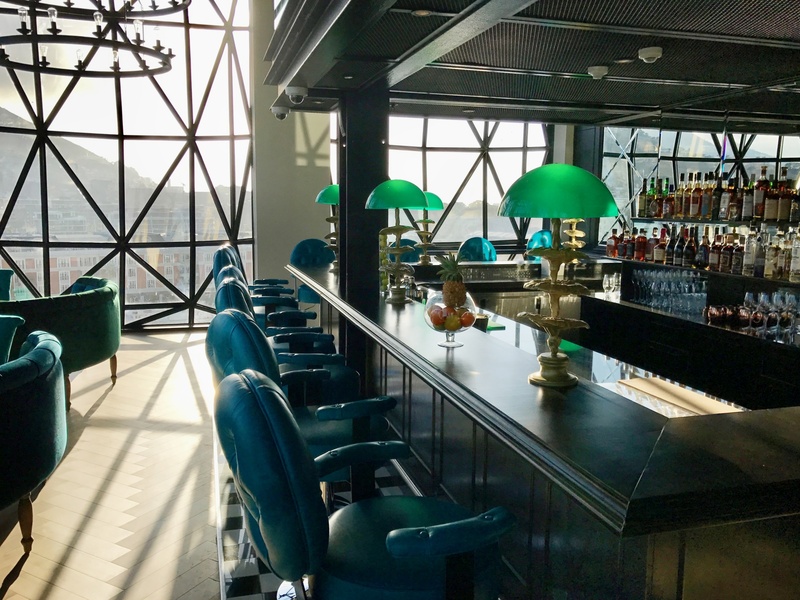 If you’re staying here over the weekend, make the signature Sunday Roast a priority. For a midday snack or a glass of bubbly, head straight to the fabulous Silo Rooftop. 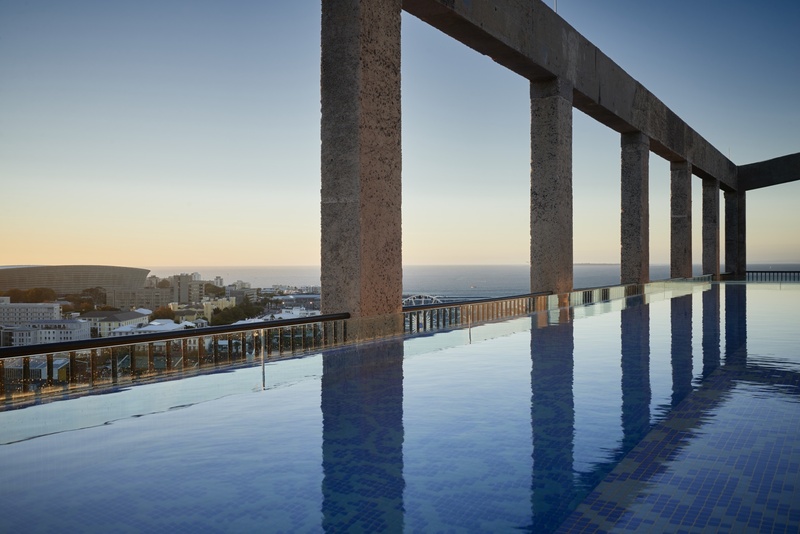 Here you can soak up the sun, enjoy a dip in the glass-walled pool and sip on a cocktail with the best views in town right in front of you. 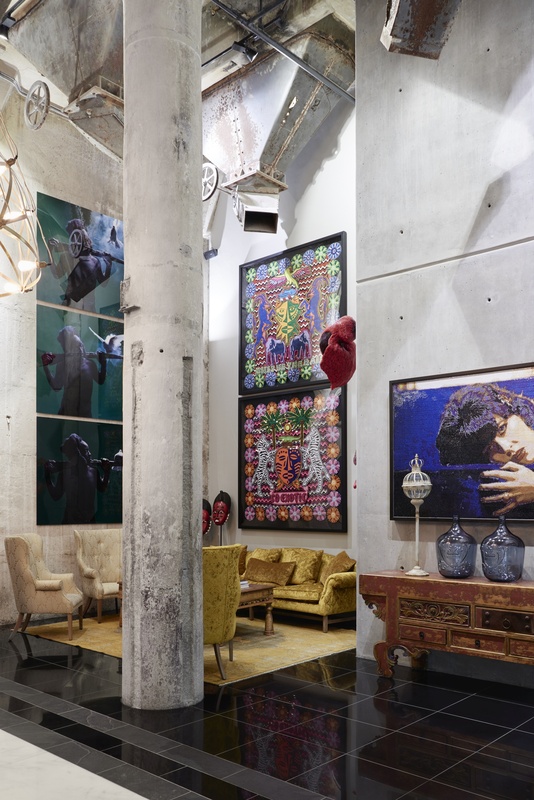 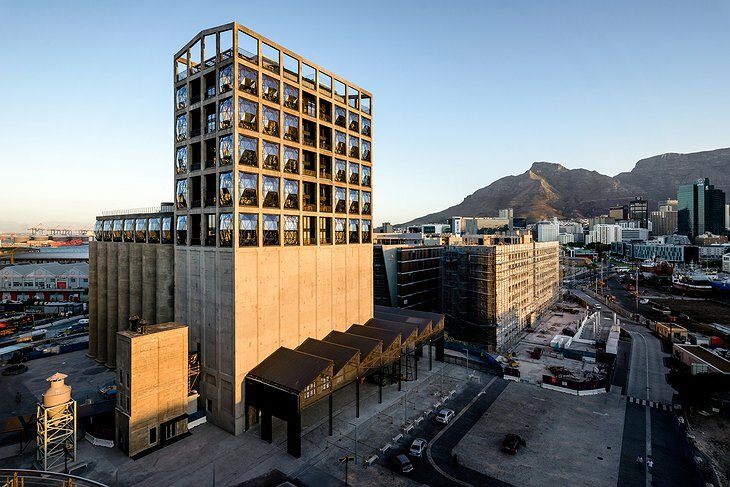 In the same building as the Silo, you’ll find Zeitz MOCCA, a contemporary art museum with the largest collection of contemporary African art. 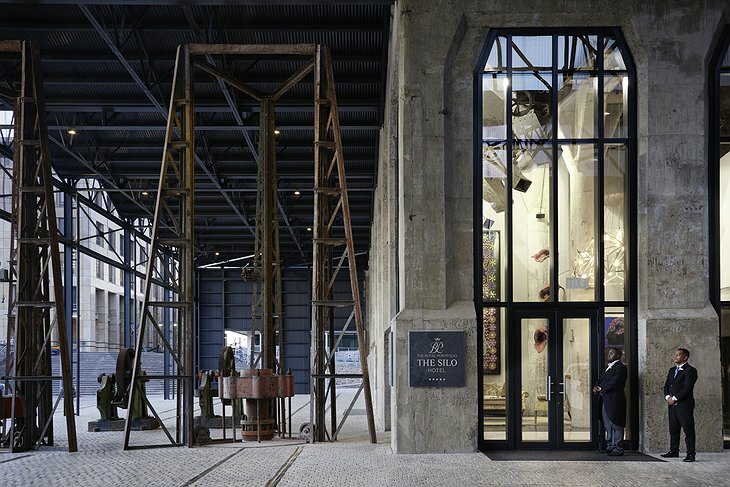 You’ll get a complimentary entrance ticket to the museum with your stay and you can arrange a guided tour of the exhibition through the hotel concierge. 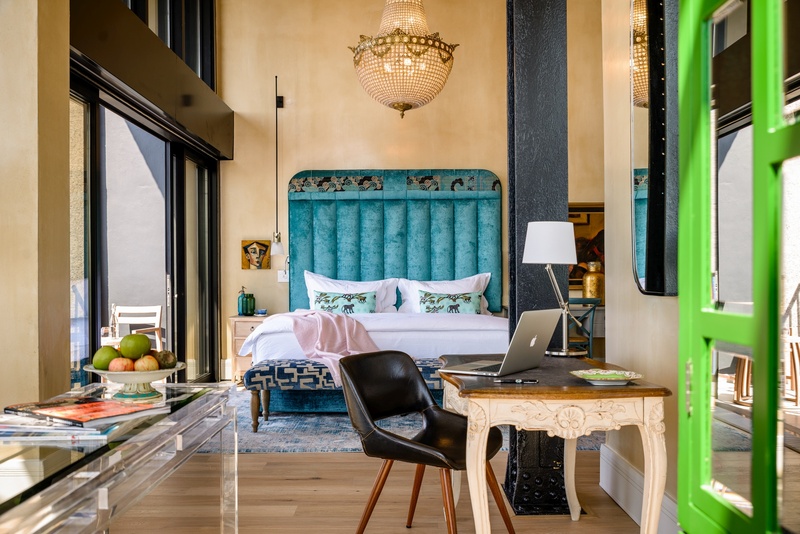 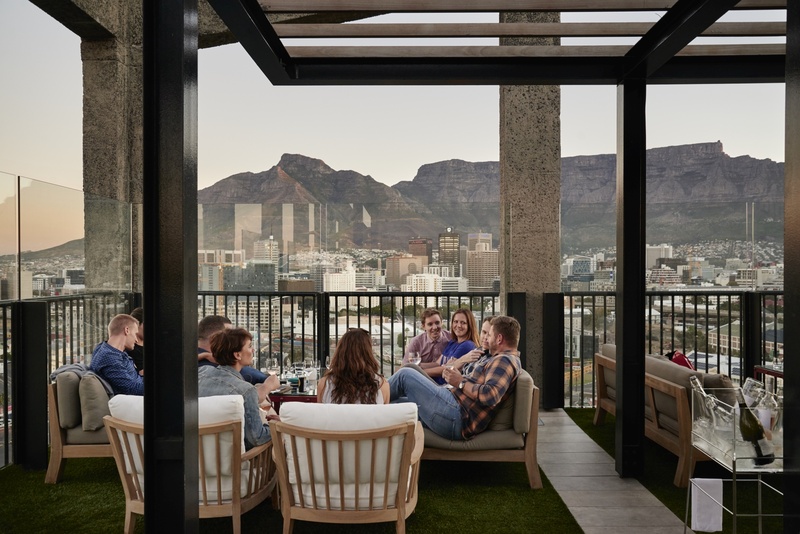 You’ll also be staying right at the V&A Waterfront, within walking distance from many of the city’s highlights and the major events such as the Jazz Festival or Cape Town Art Fair.